Fabulous direct water views! 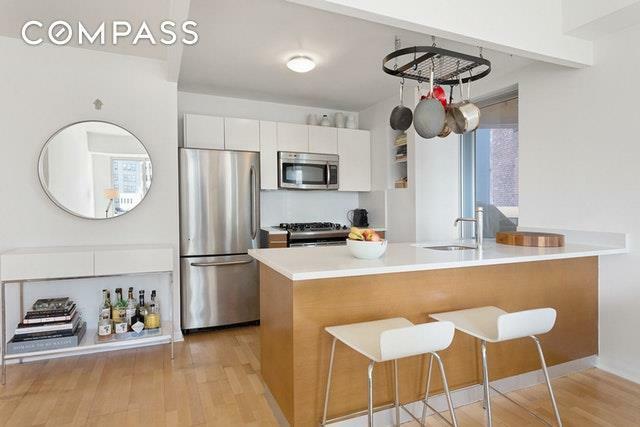 Rare and bright 2 bedroom 2 bath condo with private terrace located in the heart of the Dumbo waterfront. Entertain with ease from this gracious home with open living space designed with access to both the private outdoor terrace and an open chef's kitchen featuring Caesarstone countertops, full-sized stainless steel appliances and a large breakfast bar. 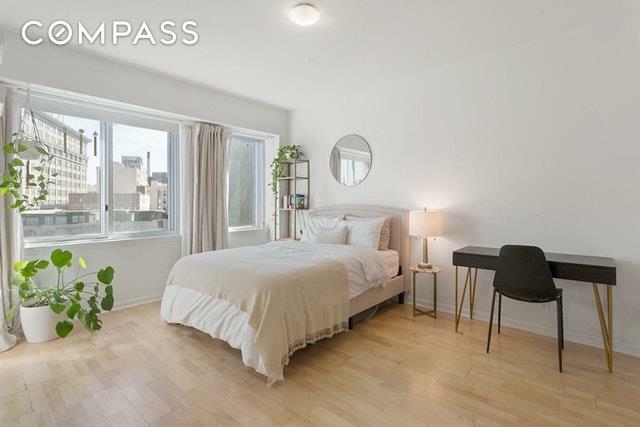 The massive master bedroom boasts oversized windows, two closets, and ample space for a king size bed and more. An ensuite bath is the perfect place for relaxation with its dual sinks, stall shower and a deep soaking tub. The second bedroom has two large windows and another large closet. In the hall there is a huge utility closet with a washer/dryer and additional pantry space. The second bath is full sized with oversized porcelain floor and wall tiles. 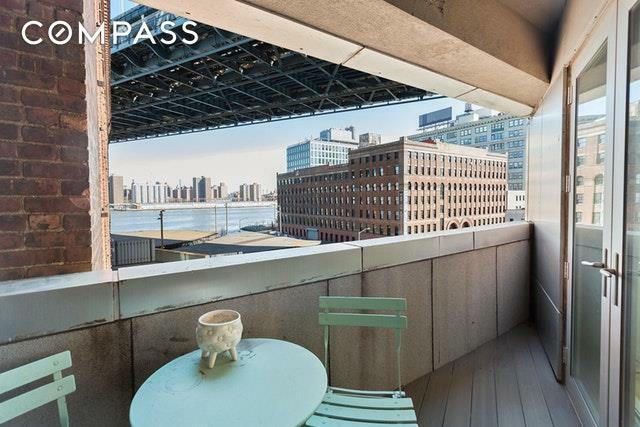 White oak floors, central air conditioning, a full-size washer / dryer, oversized windows and abundant storage space complete the home.133 Water Street is a boutique condo located on the charming cobblestone streets of Dumbo. The building features a common rooftop terrace with incredible views, a part-time doorman, superintendent, cold storage room for grocery deliveries, a gym, children's play area, bike storage, and dry cleaning drop off. Additional on-site parking rental possible based on availability. 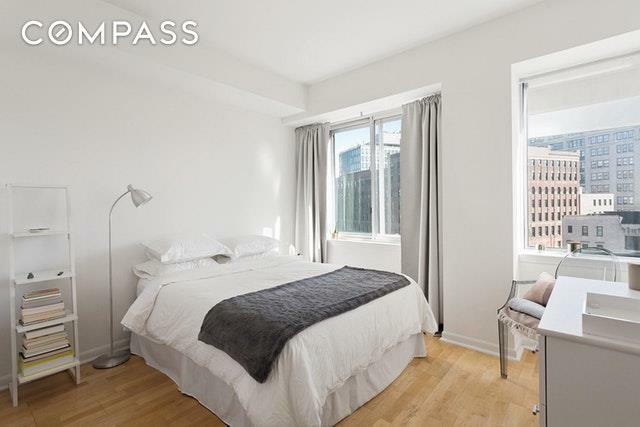 Just steps away from Brooklyn Bridge Park, Forager's, Equinox, Jacques Torres, Cecconi's, DUMBO House, Empire Stores, the F, A/C and 2/3 trains and the Water Taxi at Fulton Ferry Landing, this unique home is not to be missed. Listing courtesy of Shii Ann Huang of Compass.